When it's time to move house you need to call AAA Mr Rubbish Removal. At Rushcutters Bay a lovely couple were moving out of their rental accomodation into their first home. It is important to always leave a rental property in the the same or better than you found it. Cleaning out all unwanted items not only benefits the landlord but the tenant as well. You don't need to drag along to your new home unwanted and unused items that will cause clutter. Also you will leave the old premises in a good condition and you will have great referrals for next time. The friendly team from AAA Mr. Rubbish Removal provide homes and businesses with reliable same-day service, and we’re happy to haul away any amount of clutter, no matter how much or how little. Whatever it is you need taken off your hands; we’ll bring you the most courteous, efficient rubbish removal Rushcutters Bay has to offer. 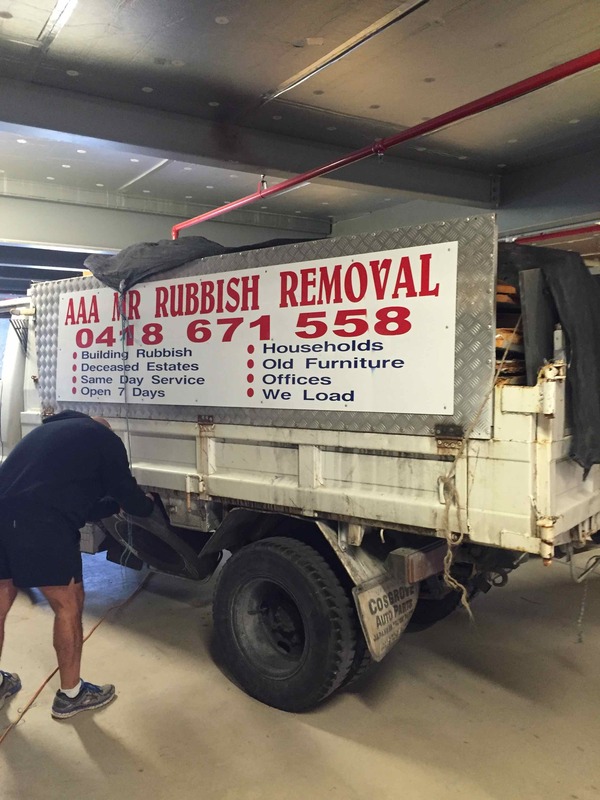 AAA Mr. Rubbish Removal provides fast and easy rubbish removal to Rushcutters Bay residents, from initial booking to final disposal. When you call us to book an appointment, we’ll set you up with an arrival window then call you on our estimated arrival time. Once our team arrives, you point to the things you want taken and they’ll quote you an upfront, all-inclusive price. As a provider of full service rubbish removal for Rushcutters Bay, we’re here to handle all aspects of the process, from packing to cleanup and everything in between. Choosing us for rubbish removal in Rushcutters Bay means you’ll be relieved of absolutely any item you don’t want, provided it’s not hazardous. We remove furniture, appliances, electronics, yard waste and debris, tyres, and whatever else you want to get rid of. When it’s time to dispose of your things, we take all possible items to a recycling facility or donate them to a charity in the area. AAA Mr. Rubbish Removal strives to bring socially and environmentally responsible rubbish removal to Rushcutters Bay with every job we do.